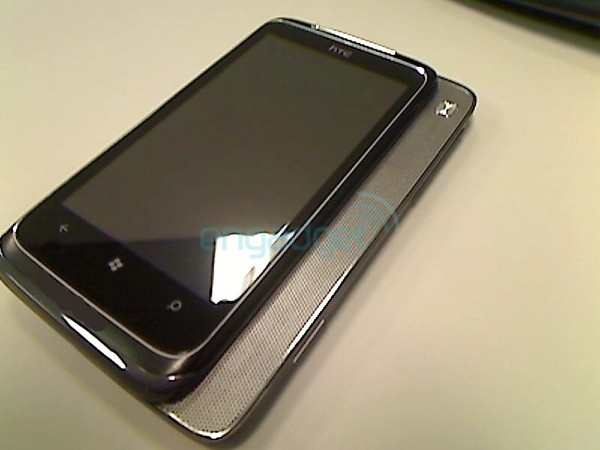 New WP7 models are popping up everywhere now - evidence that there's been a lot of work behind the scenes. This latest from HTC features a kickstand and a slide-out speaker, which ought to make it a decent media player on the go. I seriously doubt that the T8788 moniker will stay for long though. Interesting design, but even with bigger speakers, I'd need to hear them to believe they had any value that I couldn't achieve with a good pair of earphones. Now, if that speaker panel also had a front facing camera in it for video calls- that would be innovative.